Most of the times, when you are running a WooCommerce store, you may have a physical store as well as one online. This way, you will be able to tap into different types of customers and have better chances of conversion. However, the challenge comes in inventory management, as you need to keep it synchronized all the time. One apparent solution to this problem is WooCommerce POS (Point of Sale) integration. Primarily, this will help synchronize inventory between your physical store and WooCommerce store. 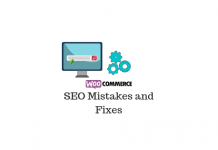 As a result, if a particular product goes out of stock in your store, it will get updated on your WooCommerce store as well. No hassles of back-orders and the like. 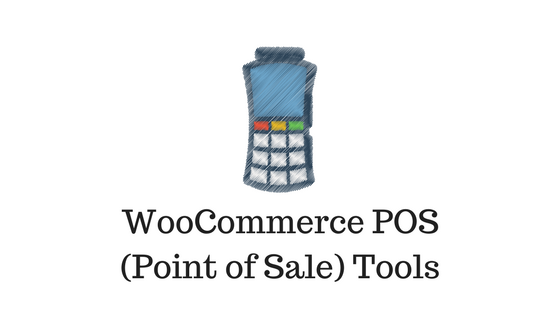 There are quite a few tools available that will help you with WooCommerce POS integration. Fundamentally, with the help of these plugins, any change that is happening in one of the systems will be reflected in the other one too. Let’s look into some of the popular options available. Lightspeed is a popular cloud-based POS solution that you can use to manage your business. 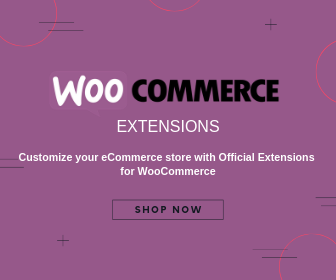 This WooCommerce extension helps you connect your WooCommerce store with your Lightspeed point of sale account. When these two systems are constantly connected and communicating, updates will happen real time. This enables to keep your inventory synchronized, all the time. For example, if a new order is placed on your WooCommerce store, it reflects in the stock quantity of your Lightspeed account. This happens vice versa as well. If a sale happens in your physical store, it will reflect in your WooCommerce store inventory too. You need to have a Lightspeed account for this plugin to work. If you don’t already have one, you can signup for a free trial. Once you install and activate the plugin, it will help you import the inventory from Lightspeed to WooCommerce. And later, through a recurring Cron Job, it will synchronize the inventory from both systems. It is important to understand that this extension only allows to import products from Lightspeed POS to WooCommerce, and not the other way around. So, basically, you import products to WooCommerce from your Lightspeed account, and WooCommerce will send any further updates back to Lightbox. However, if your WooCommere store already has some products, you can send them to Lightspeed before the integration. You may be able to manage inventory from multiple stores. But, WooCommerce doesn’t have a solution to handle multiple inventories. You will have to keep a single inventory source for WooCommerce. You can manage variable products too with this extension. For this, there is a corresponding term ‘Matrix Products’ in Lightspeed. You may have to read the documentation to understand both types, as there are some fundamental differences in handling variations. WooCommerce bundles all variations of a variable product and considers it as a single product. Whereas, Lightspeed counts each variation as a separate unit. You can read more about WooCommerce variable products here. The WooCommerce Lightspeed POS integration extension is available for sale on the WooCommerce site starting from $99 for a single site. If you want to use it for 5 sites, you can get it for $149. A 25-site subscription option would cost you $199. The subscription includes one year of updates and dedicated support. This is a powerful solution that you can try for POS integration to your WooCommerce store. More than being just a retail Point of Sale software, WooPOS acts as a store management system that’ll help with multiple aspects of your retail business. You can manage several facets of inventory management, data analytics, sales processing, employee management, etc., with this Windows application. Moreover, it helps you synchronize all these aspects on your online store, as well as your (single or multiple) physical stores. Basically, you can manage multiple sales channels in a flawless manner. All-in-one POS, covers every aspect of the retail business. Allows you to completely work offline, and sync back when online. Over 500 comprehensive, insightful reports. Customizable and flexible for all types of retail industries. WooPOS has similar functionalities as LightSpeed POS, but you might find it more affordable, particularly if yours is a small business. The pricing plan starts at $25 per month per active user. This plugin works effectively, but it’s a totally different approach from what we have seen in the Lightspeed integration. It creates an interface to take orders on your WooCommerce store. 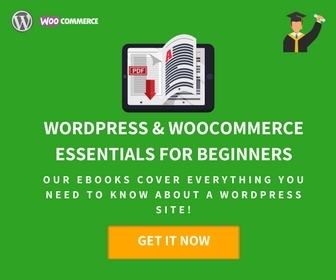 This enables you to make sales to your physical store through your WooCommerce store. You don’t need to worry about integrating another POS system or syncing inventory. With this plugin, searching for a product is really easy and fast, as it is stored locally. There is a barcode hotkey that helps you with an option to search using barcodes. Sometimes you need to include certain products only on one of the stores. You can adjust the visibility of such products to be shown in only one store or both. For example, some products can be kept as online or POS only. There is an option to edit product information on the cart and to add other details like shipping or tax rates. This is a free plugin available in the WordPress repository, so you can easily try it out. However, if you’re looking for more advanced features, check out the pro version. The premium version of the plugin understandably has several advanced features compared to the free one. You will be able to add new customers and serve multiple customers simultaneously. A marked advantage with the premium version is that you can use any of WooCommerce payment gateways that you have installed in your store. You can even update the stock information using this plugin. For example, if you want to update product titles and price, you can do that with this plugin. Similarly, if you want to quickly update stock quantity, that also can be done quite easily. Options for customer relationship management is another notable feature of the premium version. There are ways to quickly update details of a customer and even view previous order information of that customer. You can create multiple stores with differentiating factors for each. For example, you can create multiple stores that fall under different tax rates. You can even generate customized receipt templates for each store. In addition, you can generate several reports that will give you valuable insights into your store’s performance. These include a comparative report on sales on both online and POS systems so that you can clearly understand your revenue sources. The plugin also helps to generate different sales reports based on payment gateways, cashiers, or store. You can purchase the pro version at $129 for a single site license, that includes one year of updates and priority support. This is another plugin that is well-liked due to its simple yet efficient approach to integrating POS facility to your WooCommerce store. It is suitable for all sorts of businesses ranging from ranging from local food delivery places to multi-branded retail shops. You can simply add items to the shopping cart of customers and take their payment easily. As the inventory is managed through your online store, it is much easier to keep a track on things. There are no complexities related to the syncing with another system, importing products, etc. You can accept payments from a variety of methods such as cash payment, external card terminals, or online payment gateways such as PayPal or Stripe. If you are accepting cash payments, there are options to tender exact change. It will be printed on the receipt too. You can personalize the receipts you give your customers. Include your brand logo, address details, social media profiles, store policies, etc on the receipts. You can also create custom products and discount coupons according to evolving sale strategies. In addition, you can easily attach notes to an order. This way, you will be able to meet special requests from your customers. This is particularly important if you are a small base and you want to retain customers for a long term. You can let customers register to your store through this plugin. There are options to save customer’s shipping address and other details to ensure seamless order fulfillment. The plugin also has options to print barcodes for your products, which you can scan with a barcode scanner easily. If you have multiple cashiers working at your store, you can easily create multiple accounts for them. This way, each can access the register allotted to them. There are also options to save an order over the phone and then accept payment when the customer visits your store. Furthermore, on a daily basis, you can view and print register reports. This would help you stay updated on your business and revenue always. There are quite a lot of features with this plugin to streamline your store and inventory management. You can purchase this plugin at a price starting from $59 for the regular license. Vend is a popular point of sale system that offers powerful inventory management. It is suitable for all kinds of businesses from small to large. Integrating Vend with WooCommerce would open up further scope for your business. Linksync helps to enable a seamless integration between Vend and WooCommerce. You can always keep your WooCommerce inventory in sync with multiple stores using Vend point of sale system. For example, if one of your physical outlets makes a sale, it will be reflected in your WooCommerce store and vice versa. If you add or update a product on one system, you can see the change reflected in the other system almost instantly. However, if you are updating images, it is good to know that the update will happen only from Vend to WooCommerce. That means, if you update an image on your WooCommerce store, the Vend POI system won’t reflect on your WooCommerce store. The pricing plan starts from $19 per month, which is good for small businesses. With the basic plan, you will be able to manage up to 100 products and 50 transactions each month. You will be able to connect two systems with the plan, along with real-time syncing and email support. There is also a free trial for 14 days. 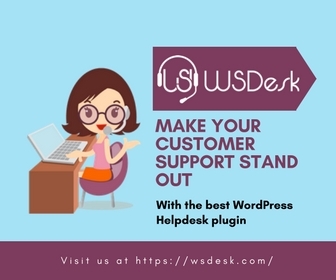 This is yet another plugin that helps you connect a point of sale system with your WooCommerce store. Square is a widely used point of sale system that helps you accept payments, manage inventory, generate receipts and reports, etc. The plugin helps to automatically update any changes in your inventory from Square to WooCommerce. Similarly, you can manually synchronize changes on your WooCommerce store with Square in just a single click. However, you need to assign SKU for all your products (including each variation), for this syncing to work. Also, you need to do a bulk synchronization process between the two systems at the start. Integration with the Square point of sale is a great way to manage physical and online locations of your store. Square allows you to accept payment methods of all sorts, including NFC and magnetic stripe cards. Once you install the plugin, you will be able to accept payments online and offline. With this plugin, you can create and edit products on your WooCommerce store. Any changes you make to your WooCommerce products, like product title or price, will be reflected in Square too. You need to have an account with Square and an SSL certificate to accept payments through Square. At the moment, Square eCommerce services are available in the United States, Australia, Canada, UK, and Japan. You can purchase a single site subscription from the WooCommerce site for $79. Similarly 5-site and 25-site subscriptions can be purchased at $129 and $179 respectively. The subscription comes with one year of updates and support. Integration of multiple sales channels is a necessity in the competitive scenario of eCommerce. That is where the possibility of connecting your WooCommerce store with one or more of your physical store becomes a valuable prospect. Interestingly, there are multiple options available to achieve this. One option would be to integrate your WooCommerce store with a popular Point of Sale systems like Vend, Lightspeed or Square. The other option would be to create an interface on your WooCommerce store itself so that you can accept the point of sale payments. Both options have their own advantages and challenges. In this article, we have tried to compile a quick list of available options to help you integrate multiple sales channels. You may be able to choose an appropriate option according to your sales strategies. Please comment below if you have any insights to add, or if you have any queries. Previous articleHow to Surprise your Customers with Dynamic Pricing and Discounts? 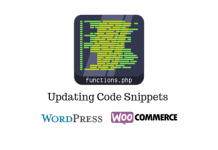 How to update code snippets on the Theme’s functions.php file on your WordPress/WooCommerce site? Hi Lucas, Thank you for the feedback.